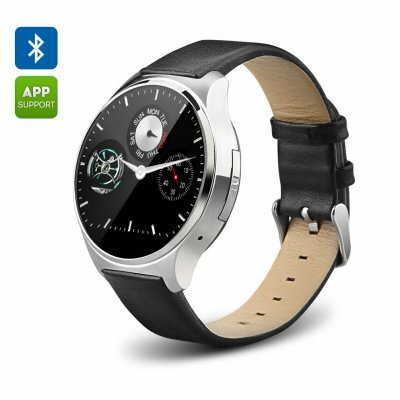 Successfully Added OUKITEL A29 Smart Watch Phone - 1.22 Inch, Pedometer, Heart Rate Monitor, IP53, MTK2502, Remote Camera (Silver) to your Shopping Cart. The Oukitel A29 smart watch adopts has a traditional circular face and at 1.22 inch its capacitive screen provides ample room to display everything clearly. Held in place by a comfortable leather strap this modern watch combines classical watch styling with modern components for a beautiful time piece that fits in anywhere. With a micro SIM card slot the Oukitel A29 supports quad band GSM frequencies letting you ditch the phone for this streamlined alternative when you don't want to be weighed down and with its MTK2502C SOC, sedentary reminder ,heart rate sensor, pedometer and sleep monitor it has all the health and fitness acumen to monitor your daily activities and keep you fit and healthy. If you can't come to leave your Smartphone behind then taking advantage of the Bluetooth connectivity will bring you a wide range of synchronization functions so when paired with your iOS or Android device you can receive all important notifications and calls directly on your wrist. this means you won't need to check the phone for Facebook, Twitter or SMS messages and can screen and receive calls directly on your wrist needing to get your phone out. There is even a remote camera option allowing you to use this smart watch to snap photos on your phone. With a built in 320mAh built in battery can enjoy plenty of usage time while the IP53 rating brings protection against water exposure so you needed worry if you get caught in a rainstorm.. 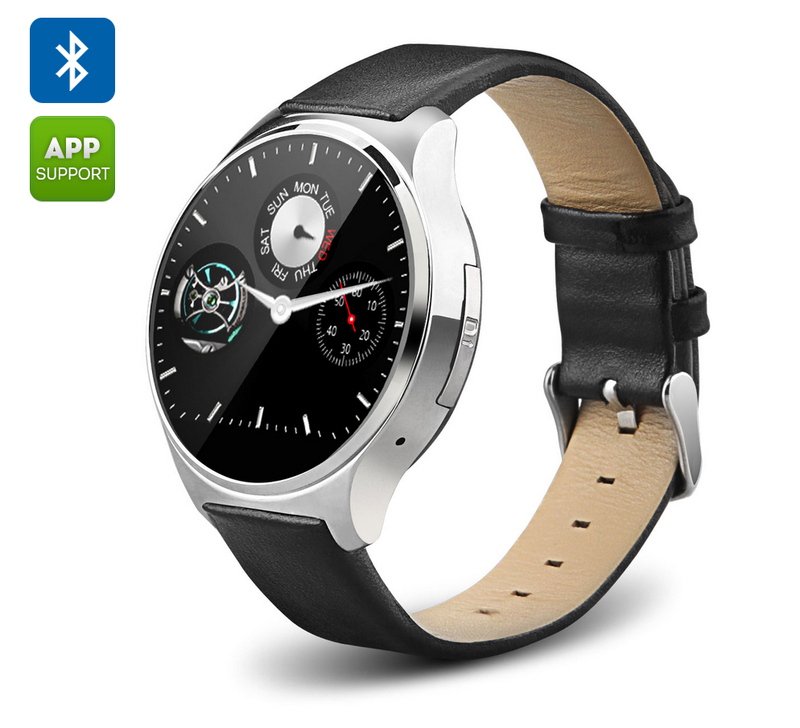 The Oukitel A29 Smart watch comes with a 12 months warranty, brought to you by the leader in electronic devices as well as wholesale Smart Watch Phones..